To efficiently and effectively manage files on Samsung phone, especially the contacts, text messages and call logs stored in internal memory, you need to turn to a professional Samsung Galaxy desktop manager - MobiKin Assistant for Android. Without this kind of tool, it would be difficult and painful for you to perform and complete the file management. What is MobiKin Assistant for Android? 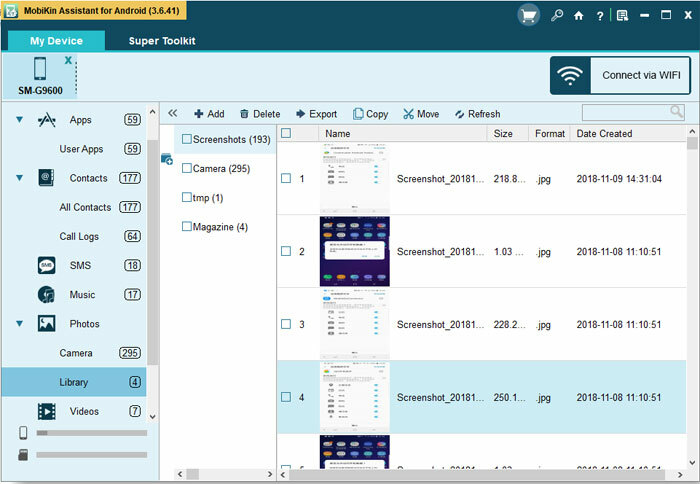 How to Manage the Files with the Samsung Galaxy Desktop Manager? 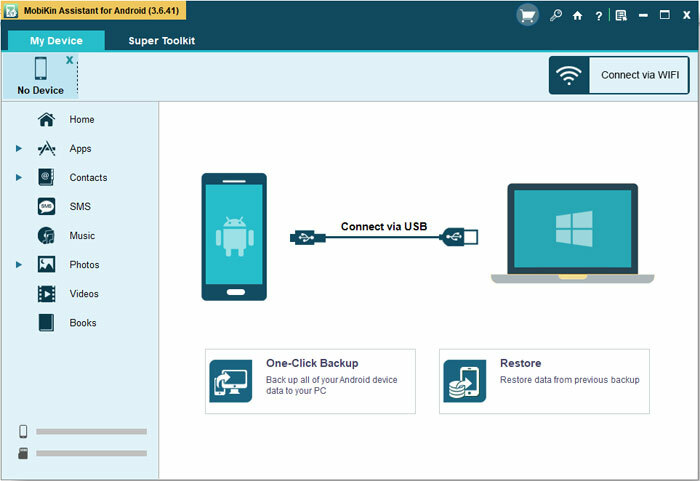 MobiKin Assistant for Android is a powerful Android file manager tool that are compatible with almost all the Android phone models, including Samsung, Motorola, LG, Huawei, Xiaomi, HTC, Sony and so on. 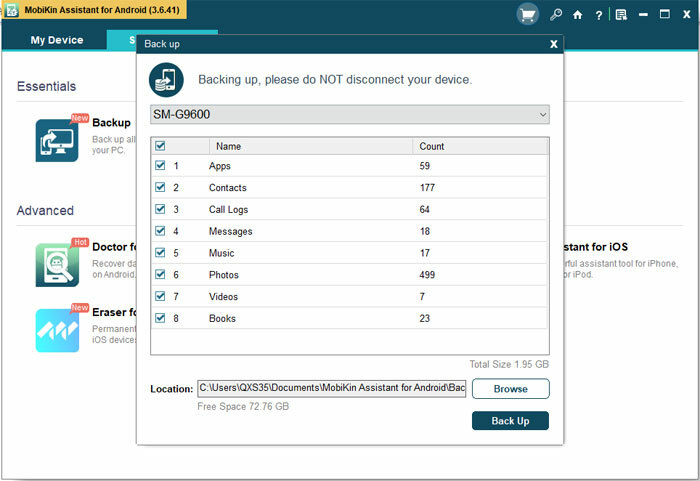 With it, you are able to backup and restore all your Android data with one click. 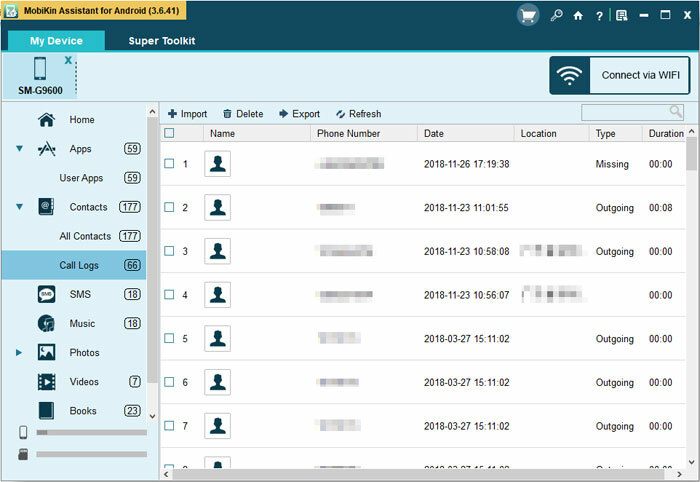 Apart from that, its "Export", "Import", "Delete", "Add" and "Edit" functions can help you to manage the contacts, text messages, call logs, images, music, videos, applications and other files on your Samsung phone without hassle. To meet different user needs, this software offers two versions to its users: Windows and Mac version. Hence, you can download the needed version as the case may be. After accomplishing the download, you should properly install the program on your computer by going with the wizard. 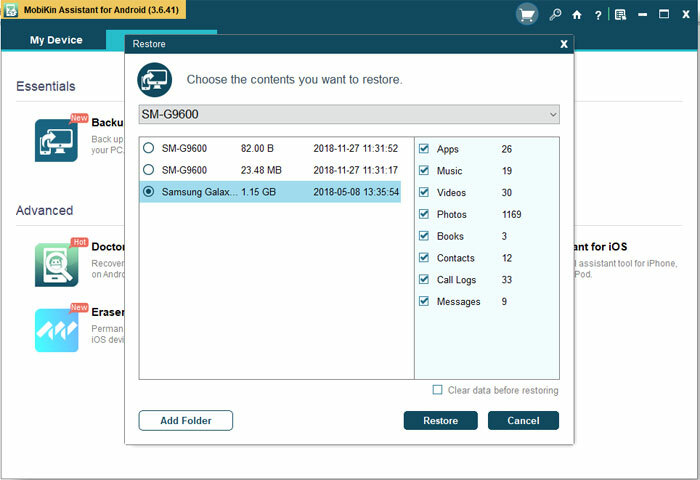 Then you can begin to manage your Samsung files with the tool. Here, you are recommended to know the supported file types of this program beforehand. - Use a USB cable to connect your Samsung Galaxy phone to computer. 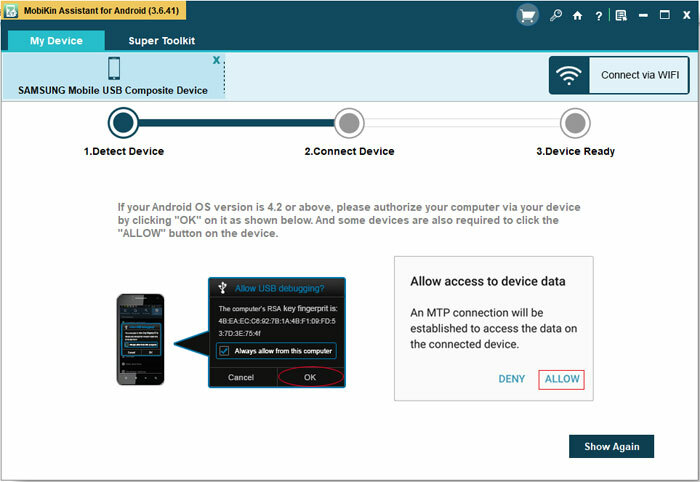 - If your mobile phone is running on Android 4.2 or above, you should go on to authorize the connection by clicking "OK" or "Allow" on your device while getting the following interface. - Install the Assistant for Android App on your Samsung phone and the connection will be successfully built after you install and launch the application. 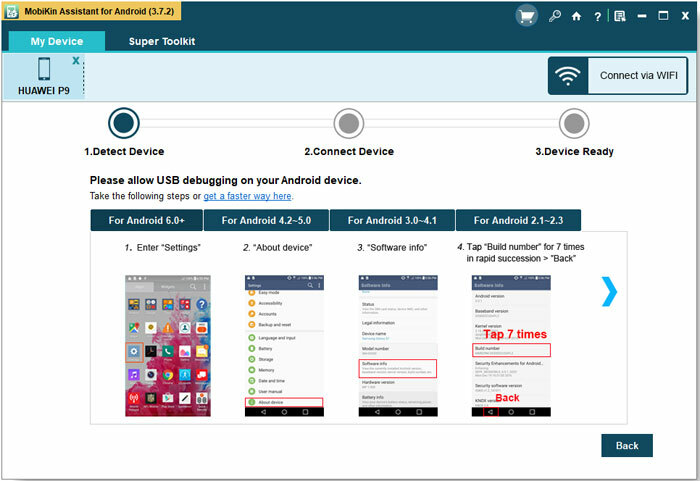 Provided that the program fails to recognize your Samsung, you can search for solutions from the page: What to Do If the Program Does Not Recognize My Android Phone. - Go with the prompts to download the Assistant for Android APK file on your Samsung and properly install it. 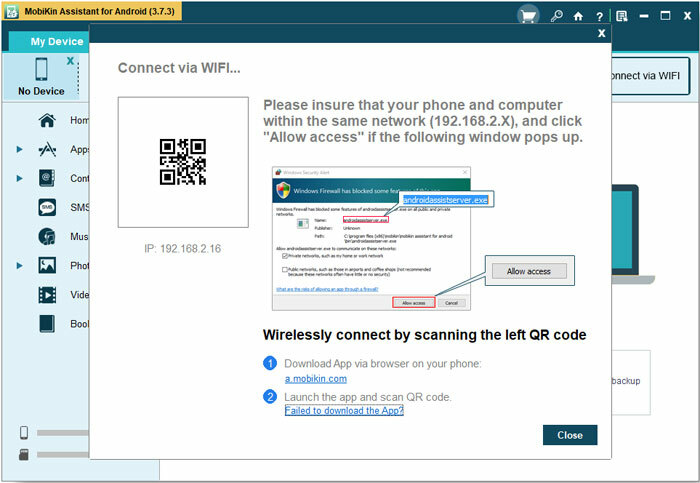 - Open the application and tap on "Wifi Connection" to scan the QR code on the program. Then the Wi-Fi connection between your mobile phone and computer will be established. 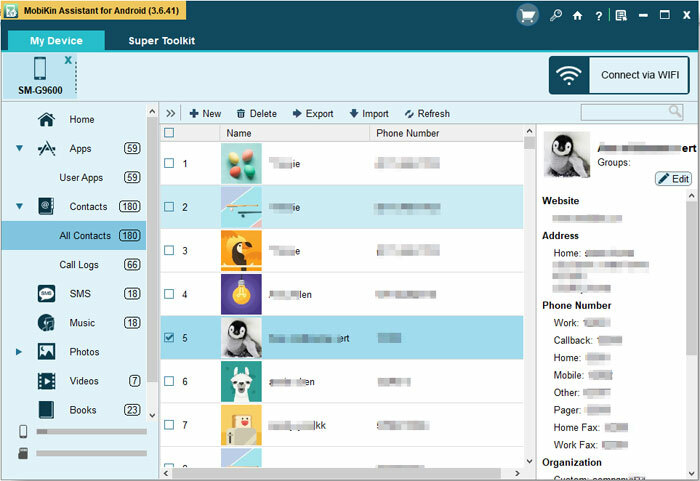 When your Samsung phone is successfully connected to computer, you will see an interface as follow. That means you can start to manage the phone data with the tool. Turn on the page you want to capture on the mobile phone and then click the camera icon on the main interface of the software. After that, you can choose the option "Save screenshot to computer" to capture and save the screen to computer. - Backup Android data: Go to "Super Toolkit" > "Backup" > choose the wanted folders > select a location to store the data > "Back Up". - Restore data to Android: Enter "Super Toolkit" > "Restore" > elect the files you want to restore > "Restore". - Add new contacts: Click "Contacts" > "All Contacts" > "New" and a window will pop up. In this window, you can add a new contact with name, phone number, email, address, etc. - Delete contacts: Choose "Contacts" > "All Contacts" > mark the unwanted contacts > "Delete". 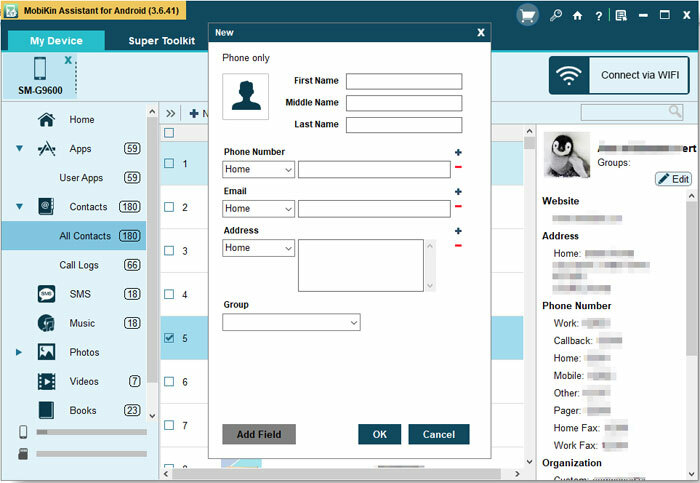 - Export contacts to PC: Tap on "Contacts" > "All Contacts" > tick off the wanted filed > "Export" to transfer and save the contacts as HTML, VCF, CSV, XML or BAK file on computer. - Import contacts to Android: Select "Contacts" > "All Contacts" > "Import". - Send messages on PC: Elect "SMS" > "New" and then you will see a pop-up window. 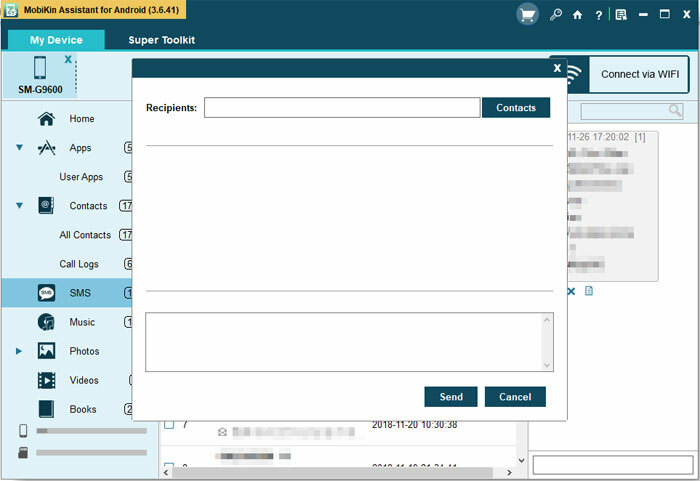 Just select one or several contacts as recipients and enter the messages in the blank box at the bottom. Finally you can hit the "Send" button to send the message. - Delete SMS: Go to "SMS" > mark the text messages that you don't want to keep > "Delete". 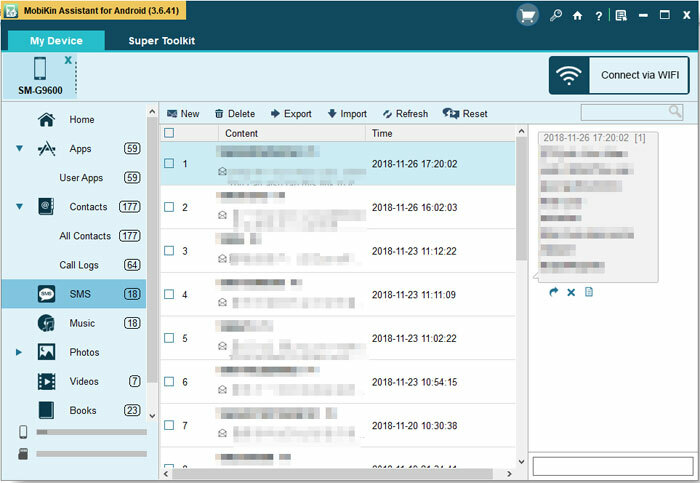 - Export text messages: Click "SMS" > check the files that you want to transfer > "Export" and then the selected messages will be moved and saved in computer as HTML, TEXT, CSV, XML or BAK files. - Import messages: Navigate to "SMS" > "Import" to copy the messages saved in BAK or XML format on computer to Android. - Import call logs: Choose "Contacts" > "Call Logs" > "Import" to transfer call records from computer to Android. - Export call history: Tap on "Contacts" > "Call Logs" > tick the wanted files > "Export". - Delete call records: Elect "Contacts" > "Call Logs" > check the unwanted data > "Delete". - Add media files/books to Samsung: Enter "Music"/"Photos"/"Videos"/"Books" > "Add". - Export media files/books: Navigate to "Music"/"Photos"/"Videos"/"Books" > select the files you want to transfer > "Export". - Delete media files/books: Go to "Music"/"Photos"/"Videos"/"Books" > mark the target data > "Delete". - Install Apps: Click "Apps" > "Install". - Uninstall Apps: Select "Apps" >　elect the applications that you want to remove > "Uninstall". - Export Apps: Tap on "Apps" > tick off the wanted applications > "Export". Samsung Kies is a Samsung file manager tool developed by Samsung. 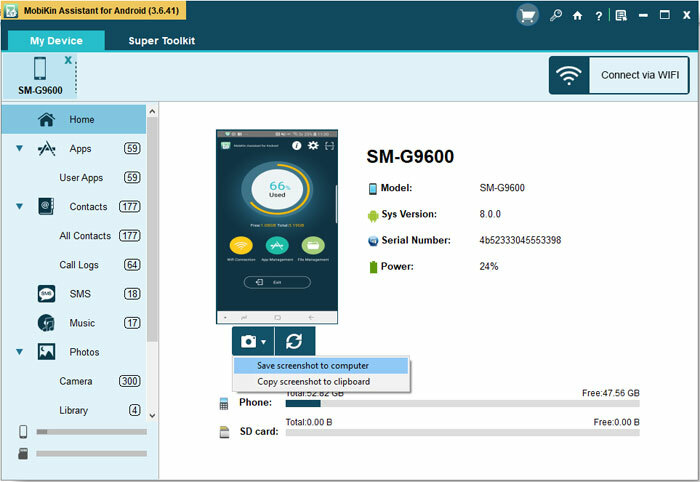 As a mobile phone assistant tool, it allows users to transfer various types of content between computer and Samsung device, such as contacts, music, photos, videos and Podcasts. In addition, you can also use it to perform a backup and recovery of the phone data. Hence, Samsung Kies can also be your option to manage the phone data. 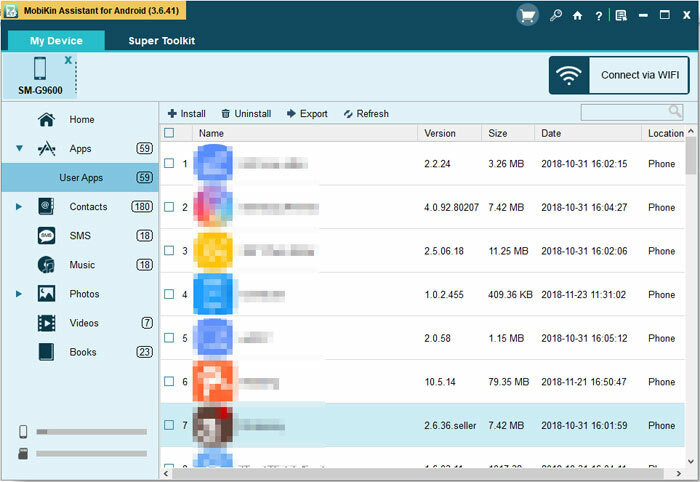 It is certain that there are many other Samsung Galaxy desktop manager tool on the market, but the Assistant for Android and Samsung Kies would be better than others. Therefore, you can choose one of them to manage your Samsung data effectively. And if you have any problem about this article, please feel free to contact us and we will try our best to solve the problem.